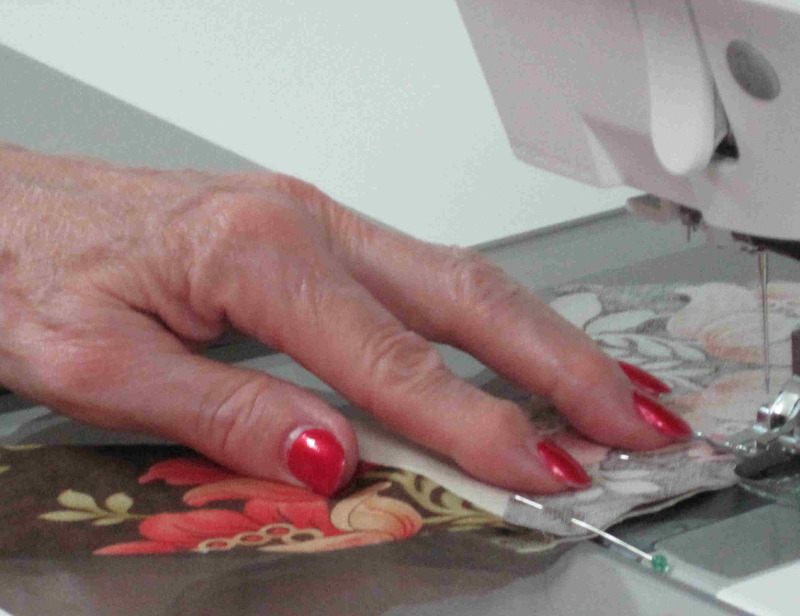 Since this is our very first attempt to host a sew along we are learning quite a lot! Preparing and posting these blog tutorials is a significant amount of work, especially for Maggie and Louise! They are doing a great job and the work required to provide you with the instructions and photos is taking quite a bit longer than we thought when we dreamed the idea up. Thanks for patiently waiting when we run behind schedule. Here is your Week 4 installment. We hope you are having a great time and that your creative juices are in free-flow mode. We can’t wait for the March 22 Show Off event to see all the amazing things Maggie and Louise have inspired with all their hard work on these blogs! Please be sure to give them a give thank you the next time you see them! From leftovers of Fabric 3 (star points) cut four 2 1⁄2” squares. 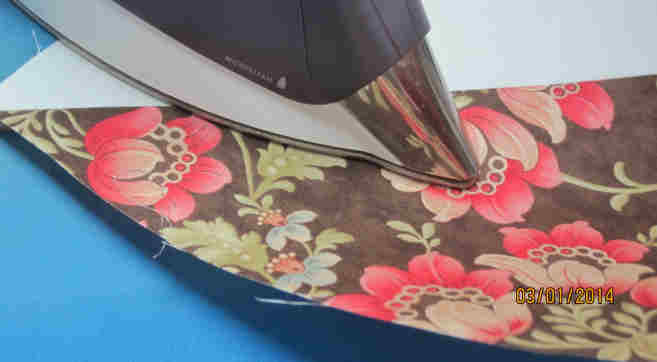 Note: If you have the Marti Michell corner trimmer, trim all three corners of the triangles and the upper 45° angle of the rectangle shown in Photo 39. 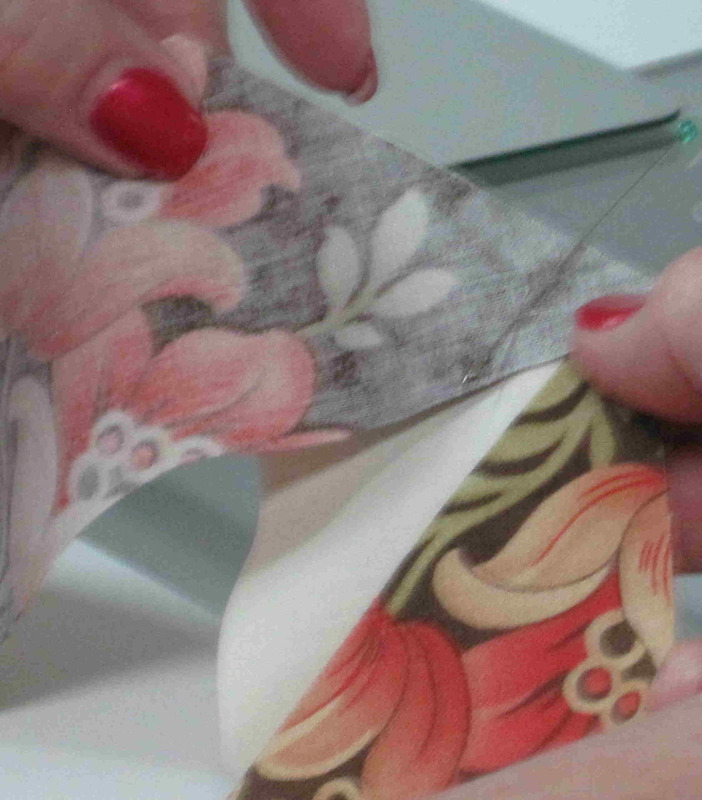 Lay out the rectangle pieces and triangle pieces as above. 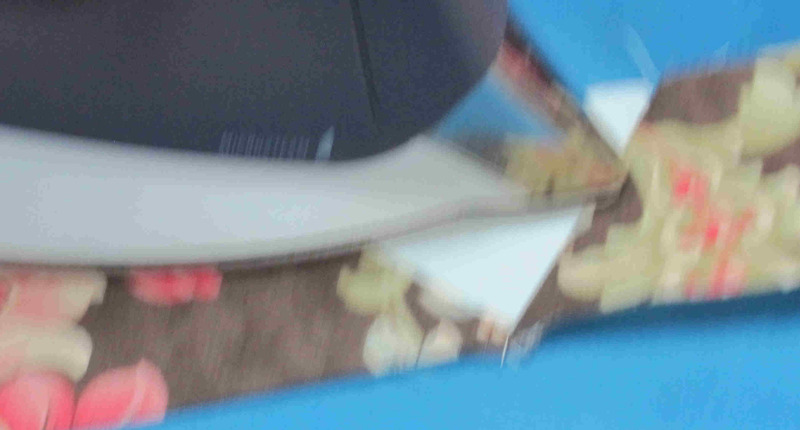 Stitch as shown in the picture. 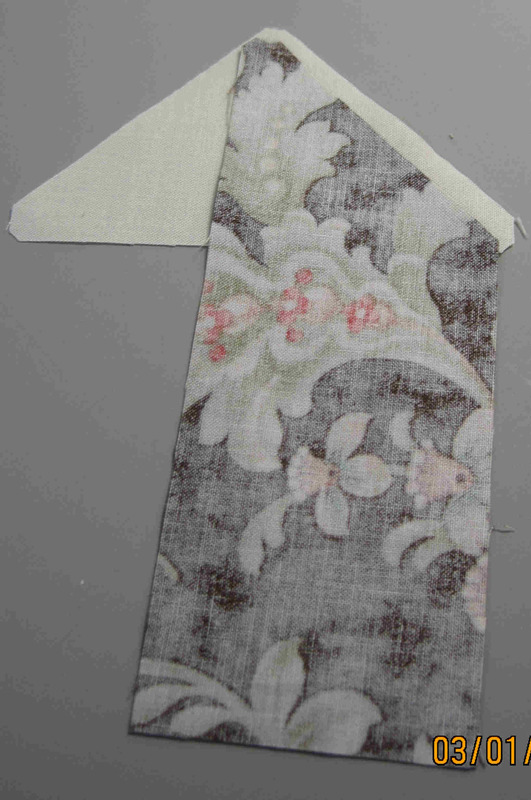 Pin second rectangle to other side of triangle and stitch. 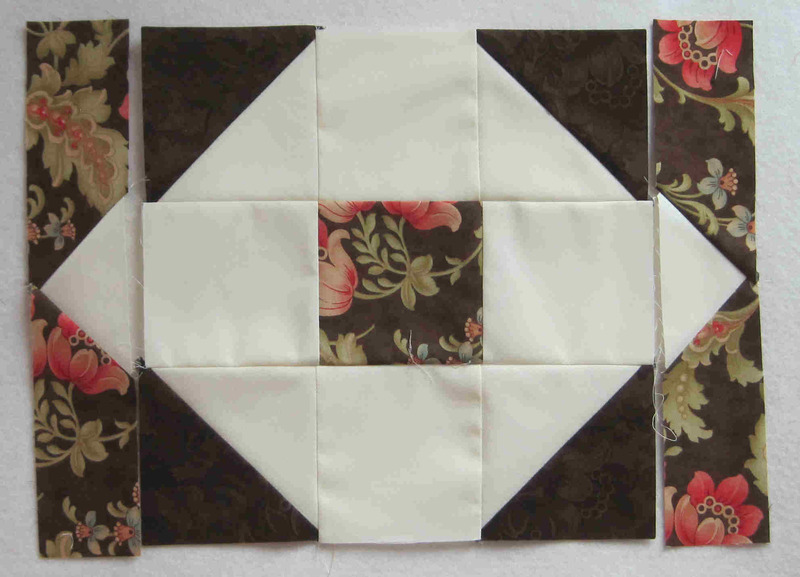 Sew 2 1⁄2” squares on each end of two of the completed triangle units. Arrange three of the triangle units around two of the “snowball” blocks as shown. 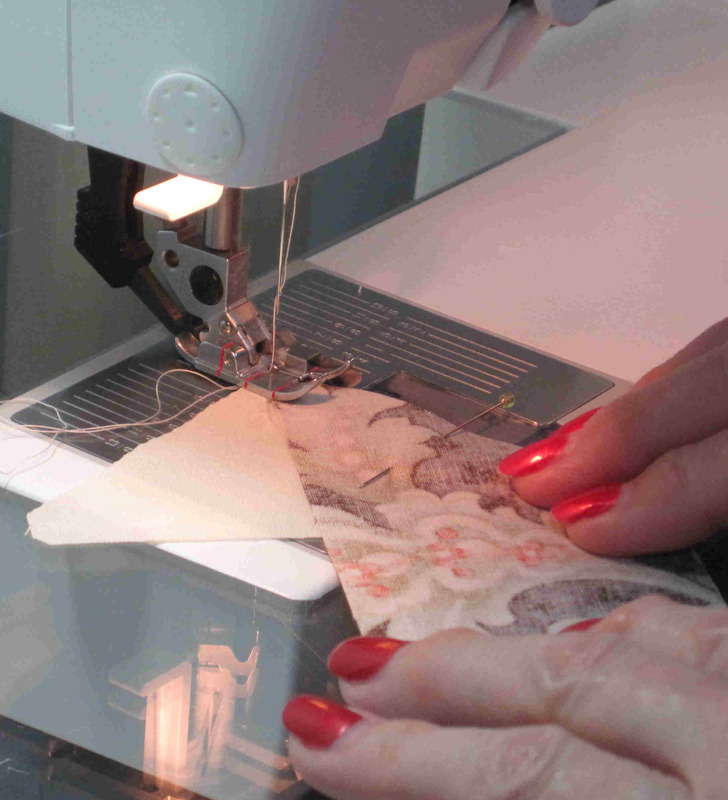 Stitch the two sides to the block and press, then stitch the top piece to the block and stitch. Stitch two of the triangle units to one “snowball” block and press. Stitch two plain rectangles to each of the two star blocks and press. 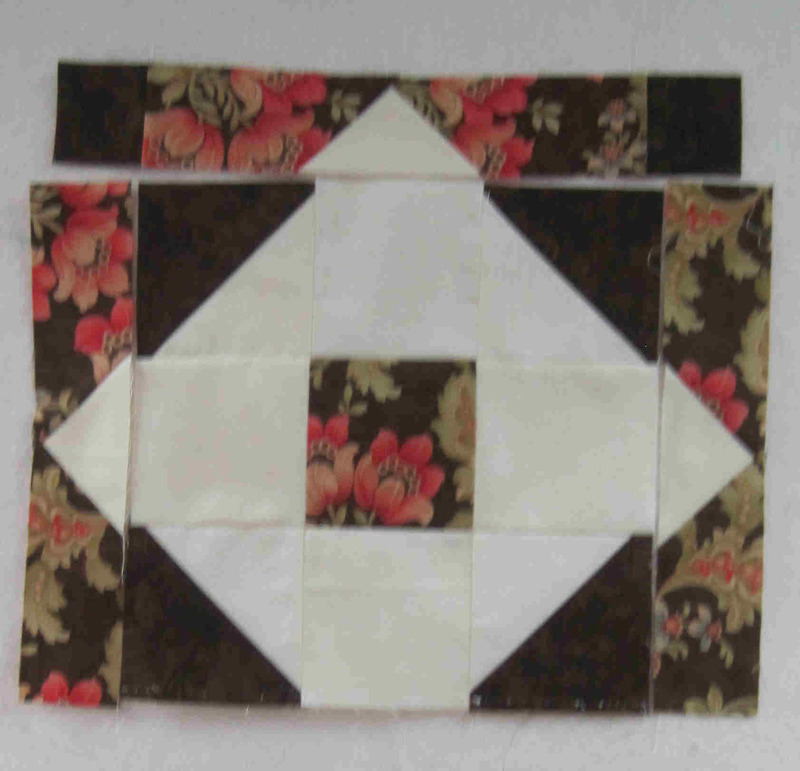 Lay out your blocks as shown below, stitch together and press. Your quilt top is completed. Next week we will build our quilt sandwich and quilt. 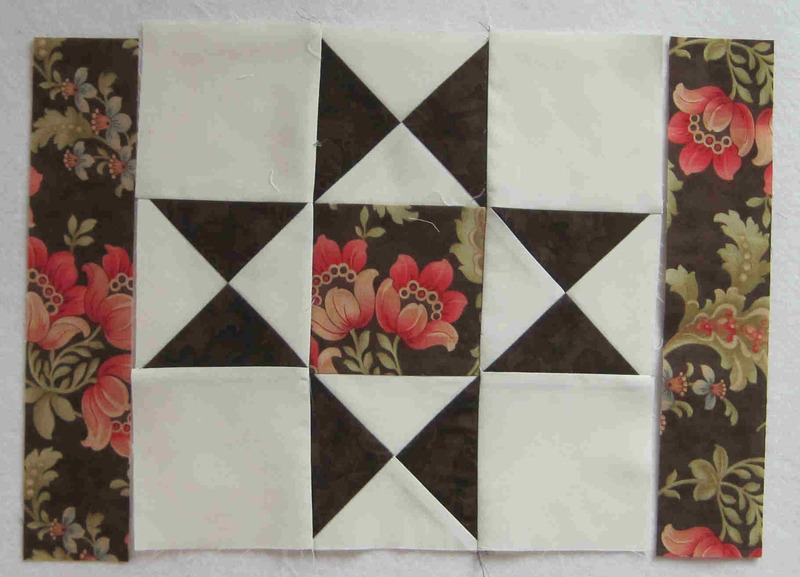 Select your previously cut 13” squares and cut them in half diagonally and stitch Fabric 1 (background) to Fabric 2 (accent). Make 4. 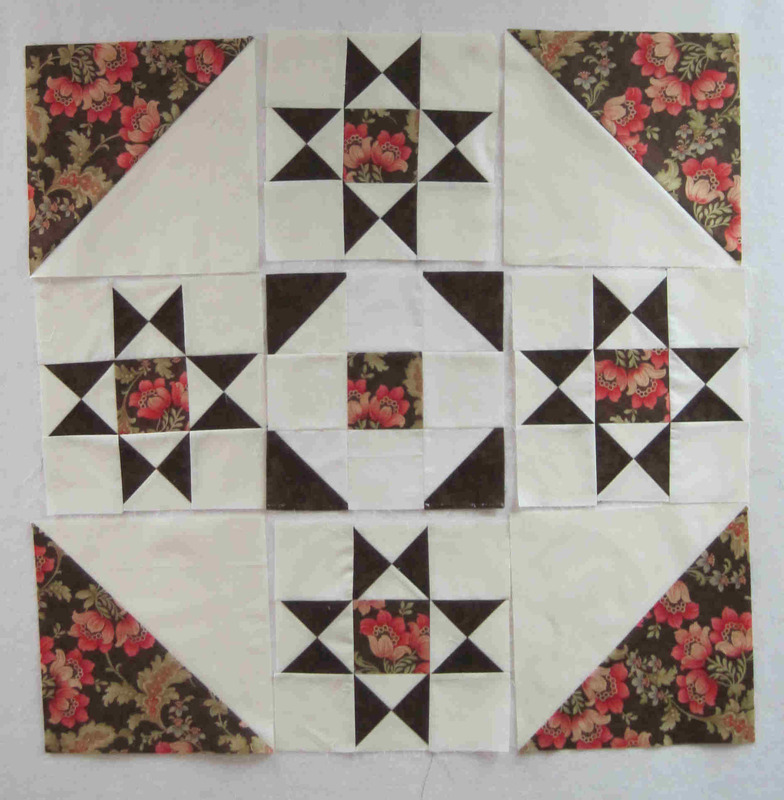 Lay out your blocks as shown, stitch together and press. Your quilt top is completed. Next week we will build our quilt sandwich and quilt.